Not done with your Christmas shopping? Forgot someone on your list? I know that all of these things are dancing in your head like sugar plums (and not in a good way!). 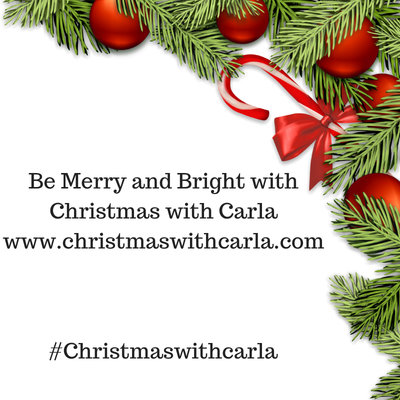 Shop www.christmaswithcarla.com to get your coworkers, business partners and corporate clients the best andmost memorable gifts. Be the one that they rave about (instead of talk about) at this year’s New Year’s Eve ball!